As usual, the year flew by and I�™m quite emotional as I write the last post of 2015 for my beloved divinetaste. Its been seven years since I began this space in December 2008. Exactly two months after, I gave birth to my beloved son. It�™s definitely not been a smooth sail as I cruise through trying to balance motherhood, work and other areas of my life. At times, I trip and fall trying to balance the scales on all fronts and at times I breeze past. All I can say is that every bit of this journey, whether turbulent or triumphant, has not only been precious but also worthwhile. The love, support and encouraging words of all my followers not only touches my heart, but also inspires me to keep going. I treasure all the words, feedback, pictures and comments that you send my way! 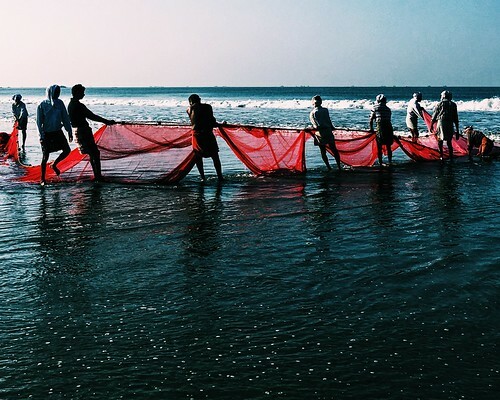 2015 scored many highs on the work front. Until this year, my carefully crafted and meticulously presented recipes and pictures of the food were there on the web for people to see, relish and recreate. 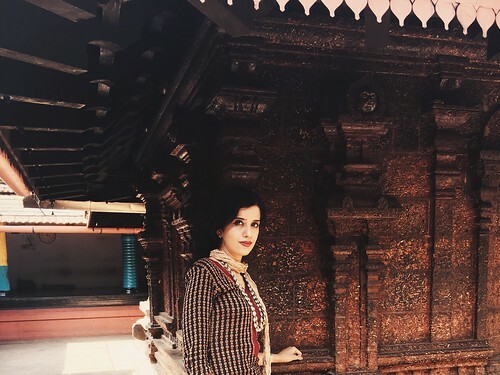 With my digital show “Divine Taste With Anushruti” viewers could watch me cook and get a glimpse into my tastes, my cookware and bakeware collection, not to mention my personal style. And I was happy to note that quite unexpectedly, without much ado from my part, my kitchen became one of the prime highlights of my show. 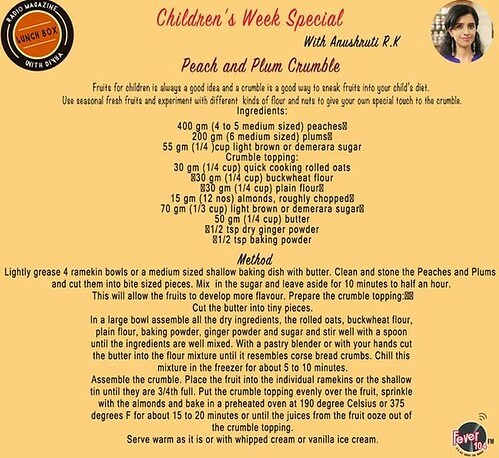 A few months later, another digital show, “Kiddies Corner With Anushruti” was launched, a Kitchen battle was won and a nice interview was published. And the year ended with divinetaste being featured in the top 15, top 10 and top 5 lists! A radio talk was on the cards too. And loads of delicious food was cooked! As I make further plans for 2016, I feel thankful and grateful for this space of mine which is my sanctum sanctorum and my rhythm divine in this world wild web (excuse my coinage ;)! This is the place where it all began! I didn�™t have to rack my brains too much and wonder about the last post of this year! Having just gotten back from a wedding in Kerala and having had a taste of divine south Indian delicacies amidst a serene, beautiful background, these little sweet appams cooked in ghee were my choice. Visiting temples and researching/documenting temple cuisine seems to be one of the prime purposes of my life. 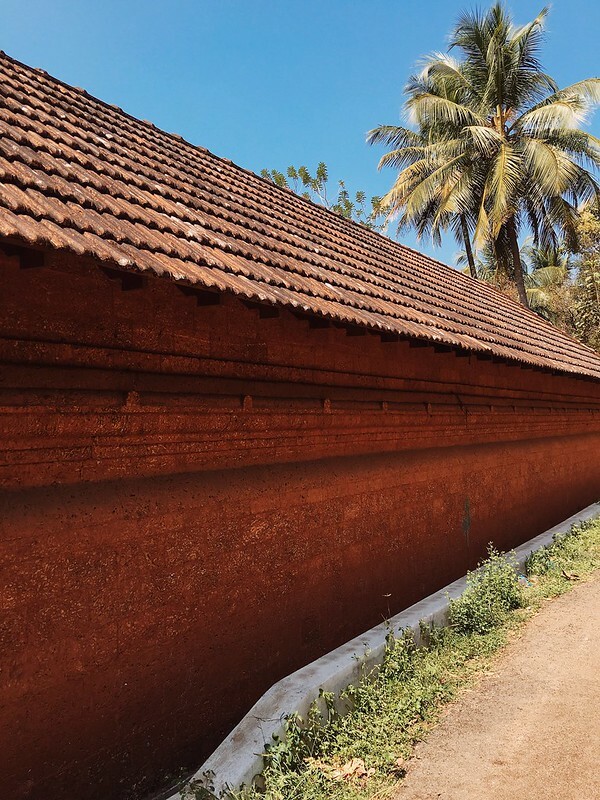 The Kadalayi Shree Krishna Temple in Kannur, Kerala touched my heart and I was astounded by its heritage and simplicity. 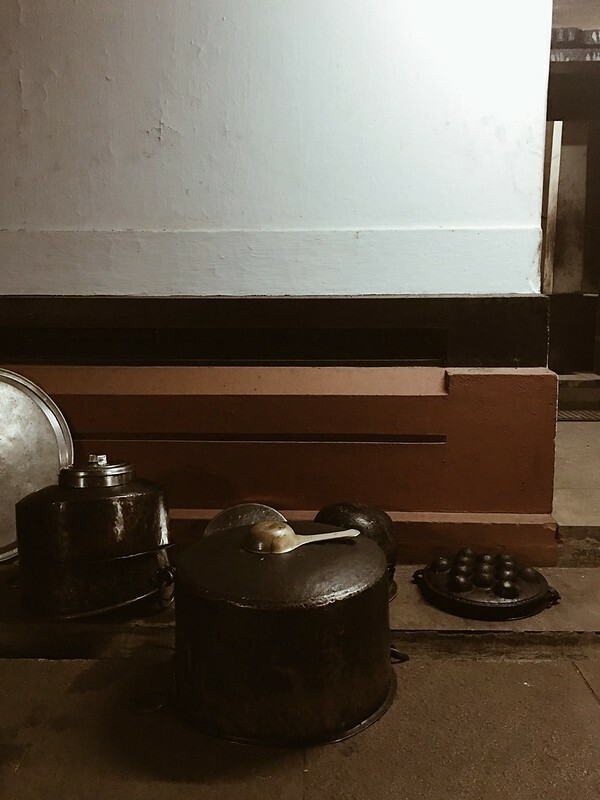 One of the highlights of this visit was documenting and taking pictures of the uruli in which 100 liters of milk is cooked to make payasam for the lord. 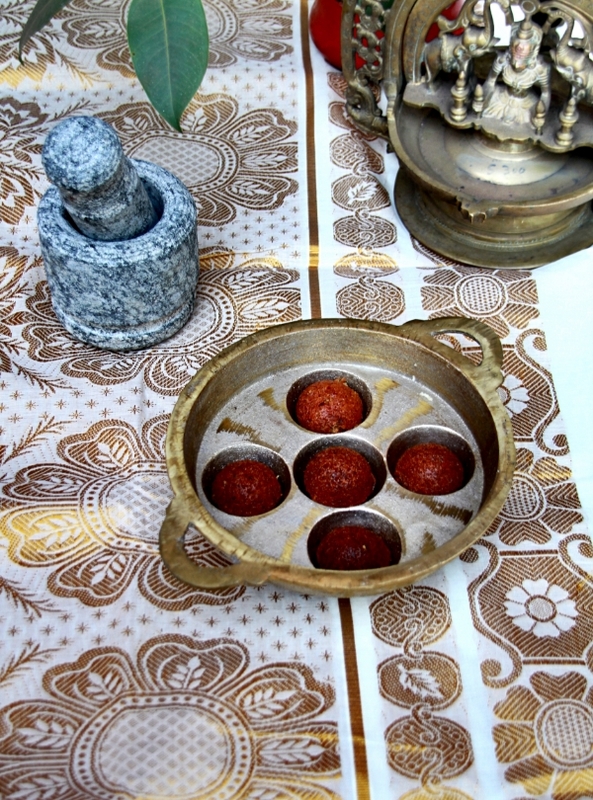 Cooking in the traditional Indian pan with little moulds in it or the aebleskiver pan if you are familiar with the Dutch pancakes made in them, has always fascinated me. I loved the savoury little pancakes known as paddu in Kannada, that my grandmother and mother made when I was a child. Even to this day, it remains a favorite. This time I decided to make the sweeter counterpart, the nei appam, known to have its roots in Kerala. Made with simple ingredients, these delicious little puffed pancakes are a delight to make, to serve and to eat. 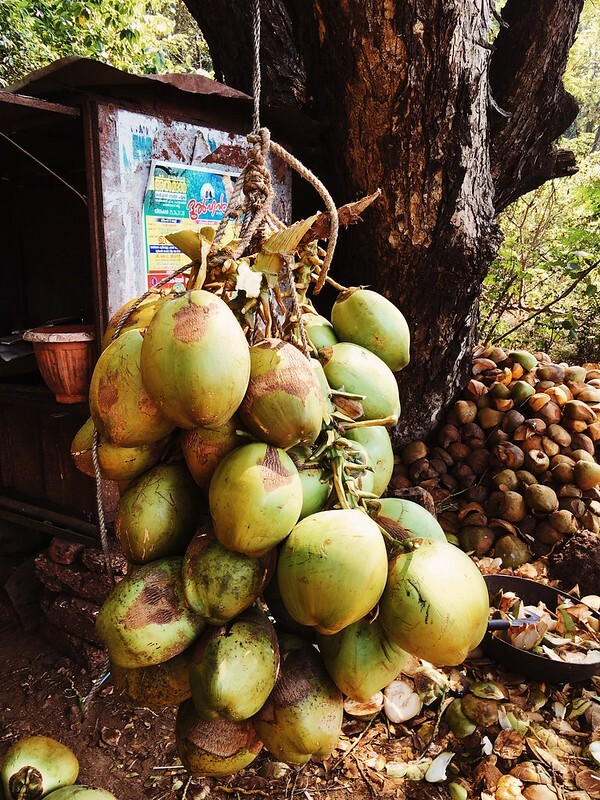 These pancakes use indigenous ingredients that form a staple diet in most South Indian cuisines- rice, coconut, banana and my favourite sweetener, jaggery. 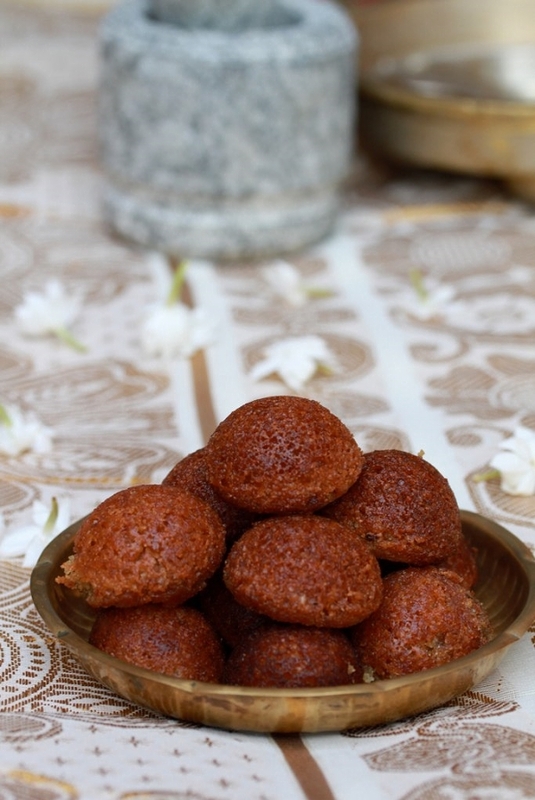 They are naturally gluten free and if you want to make them vegan, you could skip the ghee. That said, I love the flavour that ghee provides to these little appams. And with this post, I wish all the followers of divinetaste, a very happy 2016. May your lives be filled with happiness and peace and most importantly good food. It is food that sustains us human beings and nourishes our body and thoughts. And may the food that you eat provide you with all the vitality for a healthy life. Do send me positive vibes, so that I can serve you better in 2016. 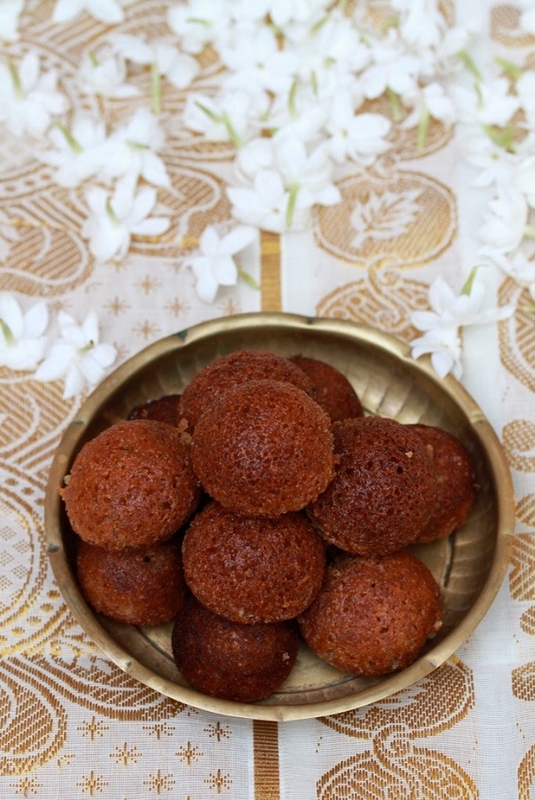 The colour of the appam depends on the colour of the jaggery. If the batter is loose, you can add a little rice flour to adjust the consistency of the batter. Wash and soak the rice for 2 to 3 hours. Drain and grind the rice along with 2 tbsp water. Put in the coconut and the banana and grind again until blended. The ground paste should not be very smooth. 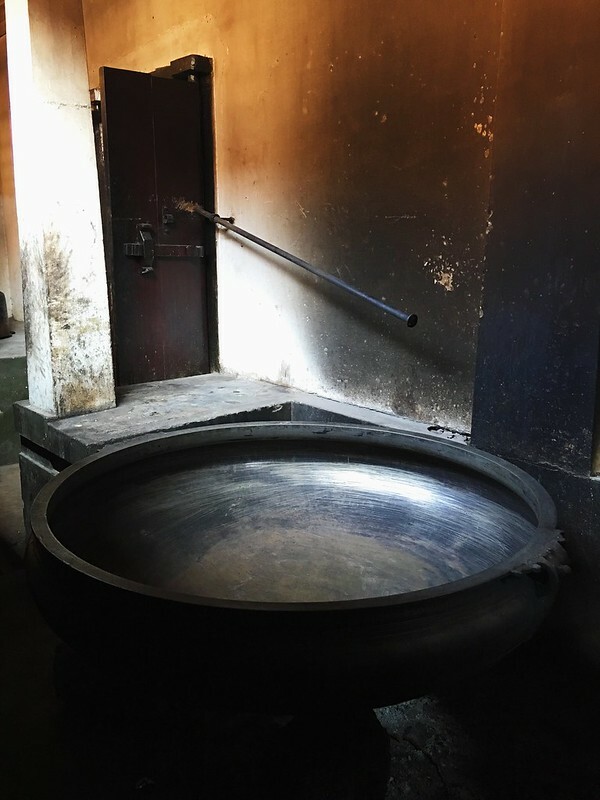 In a pan put in the jaggery and the water and cook on low heat until the jaggery melts. Allow it to cool down a little and then mix it into the ground paste. 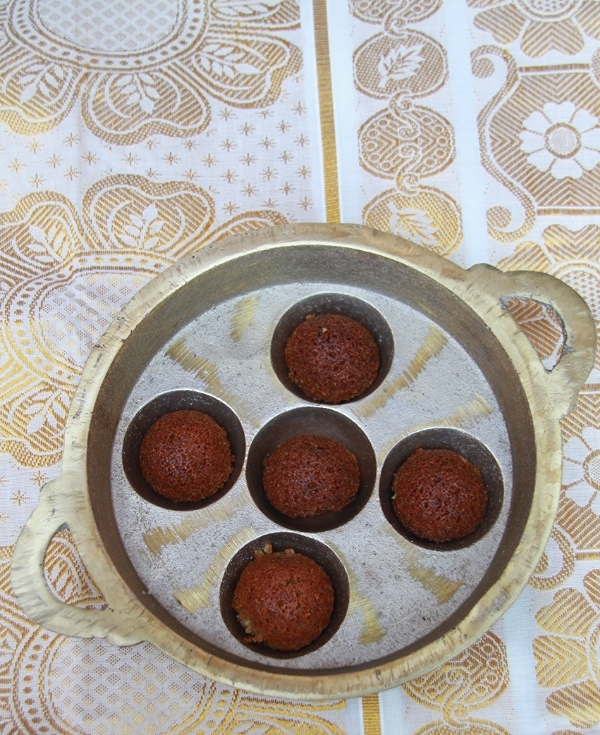 Heat a paniyaram/appa chetty or aebleskiver mould. Pour in ½ a tsp of ghee in each mould. After the ghee is hot, drop spoonfuls of the batter until the mould is 3/4th full. Cover and cook on low heat. After the appam is cooked on one side, turn over and cook the other side as well. A skewer inserted should come clean, which means they are done. 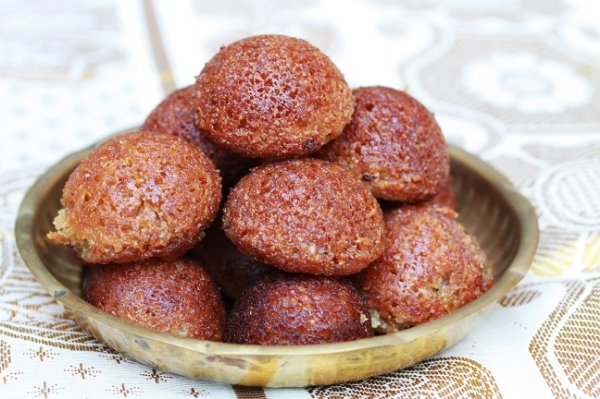 Serve hot, warm or at room temperature with more ghee, if you are daring enough! Enjoyed the pictures & your lovely recipe. Happy New beginnings and good byes to the endings in 2016. I am huge follower of your website and love the simplicity yet tempting recipes and presentations.Looking forward to more in the new year. We currently reside in Copenhagen and aebleskivers are very popular here too. What A grand Start of 2016 ,such a simple yet exotic recipe to begin the year,and photographs and post as usual a visual treat.Wishing you and your family A very Happy ,Healthy and promising New Year. Happy New Year Anushruti! Thank you for sharing your wonderful recipes! I've used them to awe guests (especially the cakes) and they have definitely been awed! I wanted to ask if I could make these appams in an idli cooker by steaming them? Dear Anushree, Good to hear u after six months. Thanks for the receipe with all the details. Anushruti – Wish you a very Happy New Year!!! Pictures are absolutely amazing and Appams look so delicious. Hoping to see many new and interesting recipes as always. coralcrue- Happy new year to you too! That's awesome! Hi, I have truly enjoyed going through your recipes! It is a pleasure to see your videos too. All the Best and reach higher ! Vanitha- Thank you for your wishes and blessings. Shristy: Thank you so much for the feedback!